An RV suffered heavy damage Monday morning after it caught fire on Andrew Johnson Highway. People in the vehicle said they noticed it wasn't running properly. Then, fire broke out. An RV suffered heavy damage Monday morning after catching fire along a northeast Knox County road. 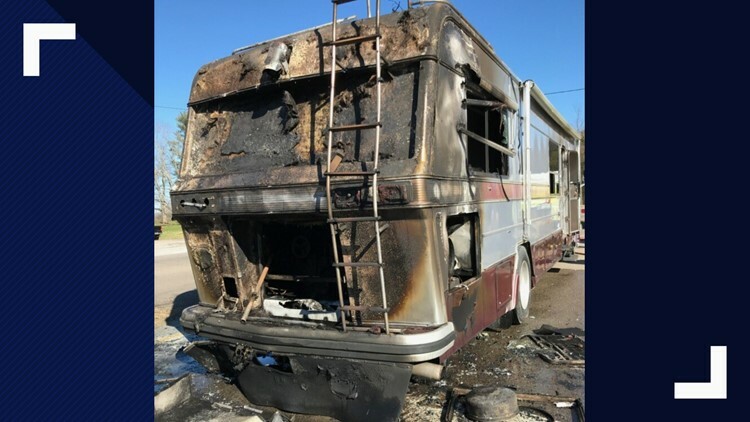 Rural/Metro firefighters from Engine 2 found the vehicle ablaze when they responded to Andrew Johnson Highway near Mascot Road about noon, according to Rural/Metro spokesman Jeff Bagwell. Flames were coming from the back of the vehicle where the engine is located. According to Bagwell, the occupants "noticed it wasn't running properly, pulled to the side of the road to call a tow truck and noticed it was on fire."